Worldwide prevalence: Circumcision is nearly universal among Muslims who do it for cultural or religious reasons. Aside from Muslims, Jews, and Americans, only about 5% of the world’s males are circumcised. Circumcision complications and risks: The rate of complications occurring in the hospital and during the first year has been documented as high as 38% and includes hemorrhage, infection, surgical injury, and in rare cases, death. 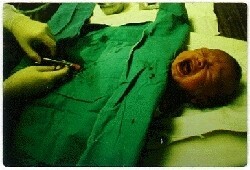 For a complete list see Circumcision: Over 100 Known Complications and Risks. American origin: Routine infant circumcision started in the U.S. in the 1870s when it was promoted as a preventive cure for masturbation. For more information see Circumcision Positions of Circumcision Proponents and Child Advocates.